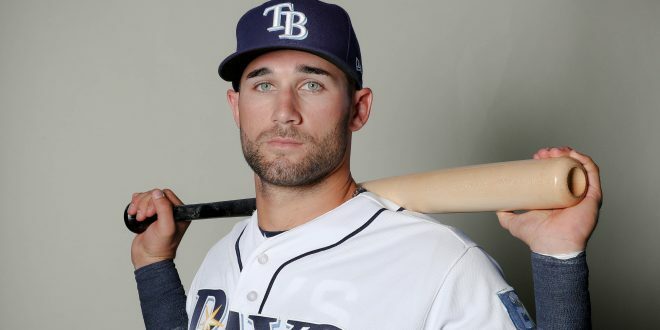 “The best ability is availability.” This is the mentality Rays outfielder Kevin Kiermaier has going into the 2018 season. 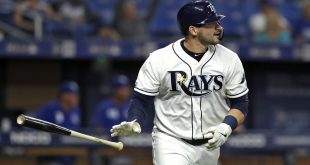 After missing time the last two seasons due to injury, Kiermaier is focusing on being able to stay on the field and contribute to his team for all 162 games. Kiermaier wants to be there for his teammates and knows staying healthy is the best way to do that. Entering his fifth season in the majors, the 27-year-old Kiermaier would be considered one of the younger guys on just about every other team. But on a Tampa team that’s currently in the rebuilding process, he has quickly become one of the veterans. This new role for the former Platinum Glove winner comes on the heels of off-season trades of veterans Evan Longoria, Steven Souza Jr., Corey Dickerson, and Jake Odorizzi. The role is one Kiermaier is eager to play, though. 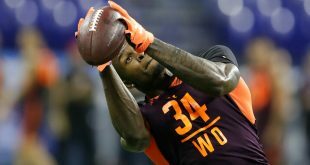 He is excited to become a leader for the Rays and hopes the way he plays the game will be a good example to the new faces on the team. Kiermaier says even though there are so many new guys in the clubhouse, he likes the group the team has assembled and is optimistic for the upcoming season. Kiermaier may have won a couple of Gold Gloves and a Platinum Glove in past years, but after suffering multiple injuries, he feels he has a lot to prove to those who have forgotten about his talents. The Rays center fielder truly feels he is the best defender on the planet and is on a mission this season to remind people of that. Despite his past injuries, Kiermaier is still willing to sacrifice his body because that’s the way he has always played the game. He knows that hustle is what got him to where he is today, and he doesn’t want to lose that part of his game. Kiermaier also believes this hard style of play is what’s necessary to prove himself all over again. In addition to his love of baseball, Kiermaier is an avid Purdue Boilermaker basketball fan. Despite the team being ranked tenth in the nation heading into the NCAA tournament, this season hasn’t come without stress. 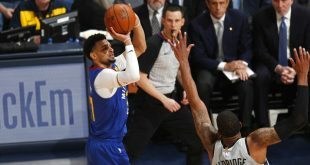 Purdue’s defense is Kiermaier’s biggest concern, and he knows the team has a lot of holes that can be exposed in March Madness. “When it’s a close game late, it makes me nervous,” says Kiermaier. 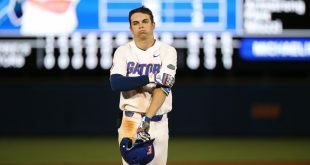 With all of the ups and downs this season, Gator fans can certainly relate to this feeling. But Kiermaier also noted the Gators’ promising finish to the season and thinks if they play like that through the tournament, then they’ll have a shot at the championship. 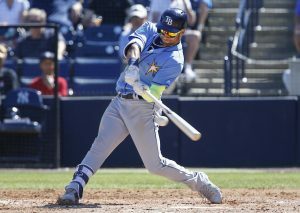 Shrinking Rotation — Manager Kevin Cash announced on Wednesday the Rays’ plan to go with just a four-man rotation this season. Rather than employ a fifth starter, the team will use a combination of three or four relievers to pitch on the fifth day.